This is a great kit for small polishing jobs like small car and bike parts as well as jewelry. Perfect for objects that are in good shape and just need to be shined up. 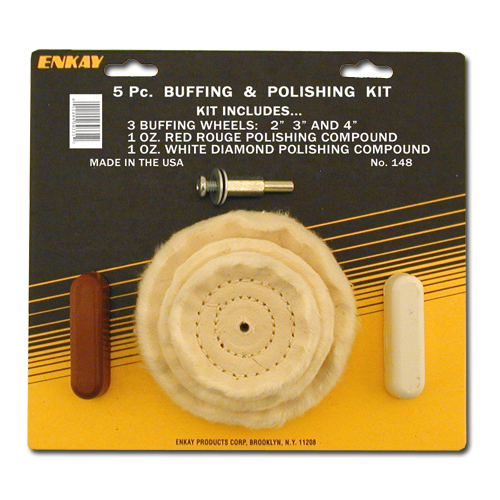 Similar to Enkay Part No.151 except this kit uses smaller compounds but adds an extra buffing wheel. For use with any standard electric drill.